This edition: The Beyond Burger, which is made from 22 separate ingredients that we’ve broken down in the exact order they appear on their website. 1) Water: You (hopefully) drink this one. 2) Pea Protein Isolate: This is created by grinding dried peas into a powder, then removing the fiber and starch; the result is primarily protein with a smattering of vitamins and minerals . It’s the main source of the 20 grams of protein found in the Beyond Burger. (For comparison’s sake, that’s the same amount of protein found in a quarter-pound beef patty.) According to a 2015 study, pea protein isolate also promotes muscle gain as well as whey protein, making the Beyond Burger a solid post-gym snack. 3) Expeller-Pressed Canola Oil: Canola oil is normally extracted using harmful solvents, but expeller-pressed canola oil is mechanically squeezed directly from canola seeds. Better yet, canola oil contains healthy fats that may lower cholesterol and reduce your risk for heart disease, according to numerous studies. But of course, there’s a catch: Physician and biochemist Cate Shanahan, author of Deep Nutrition: Why Your Genes Need Traditional Food, previously told us that consuming too much vegetable oil (canola, sunflower or corn) — which is easy to do, considering Shanahan says roughly 45 percent of the average American’s calories come from refined oils — has serious repercussions (i.e., fatty liver disease, insulin resistance and migraines). While it’s nearly impossible to eliminate vegetable oil from your diet altogether — major contributors include processed foods, fried foods, frozen pizzas, cakes, cookies, margarines and coffee creamers — it’s best consumed in moderation. 4) Refined Coconut Oil: Refined coconut oil has been processed, meaning it has less flavor than unrefined coconut oil. It’s probably added to the Beyond Burger for the same reason that canola oil is: It’s a source of healthy fats. 5) Cellulose from Bamboo: Cellulose is essentially the structural component of all plants. It’s often added to foods to provide a meaty texture. 6) Methylcellulose: Methylcellulose is produced by chemically treating the natural cellulose found in plants, and it’s often used as a thickener and emulsifier — in simpler terms, it helps all of the ingredients properly blend together. 7) Potato Starch: Potato starch is literally starch extracted from potatoes, and it’s typically used as a thickener. 8) Natural Flavor: Natural flavors are flavors derived from an actual food source — i.e., potato flavoring taken from potatoes. 10) Yeast Extract: Also known as autolyzed yeast, yeast extract results when yeast is broken down into its individual components, which include the flavor enhancer MSG (more on that here). Because MSG is a natural component of autolyzed yeast, it doesn’t have to be listed separately on the ingredients lists — so watch out for this ingredient if you’re sensitive to MSG. 11) Salt: This is added for flavor. 12) Sunflower Oil: See canola oil. 13) Vegetable Glycerin: Vegetable glycerin is a liquid produced from plant oils (usually palm, soy or coconut oil). It’s often added to foods to help maintain moisture levels, but it also can be used as a sweetener. While the small amounts normally found in foods aren’t an issue, large amounts of vegetable glycerin can cause nausea, vomiting and headaches. 14) Dried Yeast: This is probably added to help hold the many ingredients found in the Beyond Burger together. 15) Gum Arabic: According to Dagan Xavier, ingredient expert and co-founder of Label Insight, gum arabic is derived from the Acacia Senegal plant — a large genus of shrubs, lianas and trees. The secretions from these plants are typically turned into a gum, which can be used as a bulking agent, emulsifier, stabilizer, thickener, foaming agent, gelling agent, suspending agent and whipping agent. 16) Citrus Extract: This acts as a preservative. 17) Ascorbic Acid: Another name for vitamin C, ascorbic acid is also a preservative. 18) Beet Juice Extract: This gives the Beyond Burger a red-meat appearance. 19) Acetic Acid: Acetic acid is the ingredient that gives vinegar its sour taste and pungent smell. It’s also a preservative used for its antimicrobial properties. 20) Succinic Acid: This is a natural acid found in various foods, and it’s most often used as an acidity regulator, but it also can be used as a flavoring agent. 21) Modified Food Starch: Modified food starch is extracted from the source (corn, potato, tapioca, rice or wheat), then treated physically, enzymatically or chemically to partially break down the starch. It’s typically used as a batter to give foods a light, crispy texture. 22) Annatto: This is derived from the seeds of the achiote tree, and much like beet juice extract, it provides the patty with a red-meat appearance. 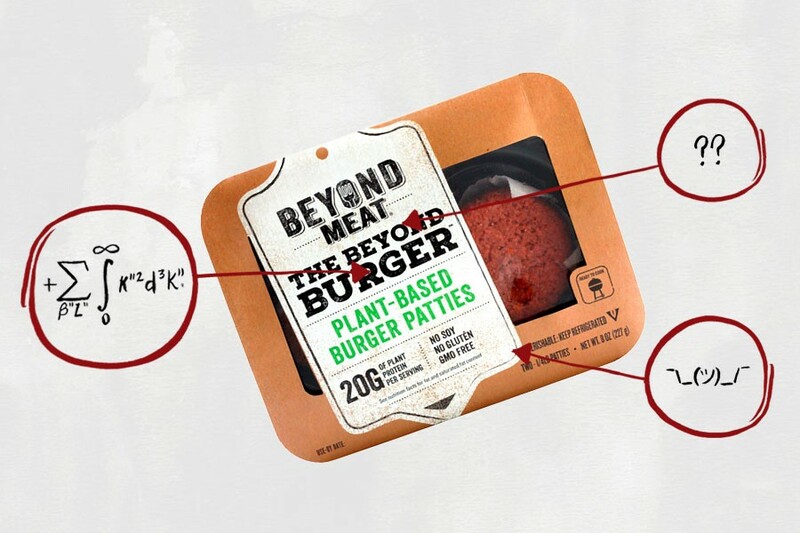 While there are many ingredients found in the Beyond Burger, the only potentially problematic ones are the vegetable oils — and even the canola oil appears to be holistically sourced. And so, the Beyond Burger appears to be a good alternative to beef burgers, considering the laundry list of ailments associated with diets that are high in red meat: Heart disease; cancer; inflammation; diabetes; obesity; and even early death — all of which may be worth considering while you’re attempting to navigate barbecue season this summer.